While I was making yesterday's whale card, I accidentally cut out the light layer at a different size, 3.25" or maybe I cut out two copies of the same layer, instead of just one. (I don't really remember, but the point is that I had two). 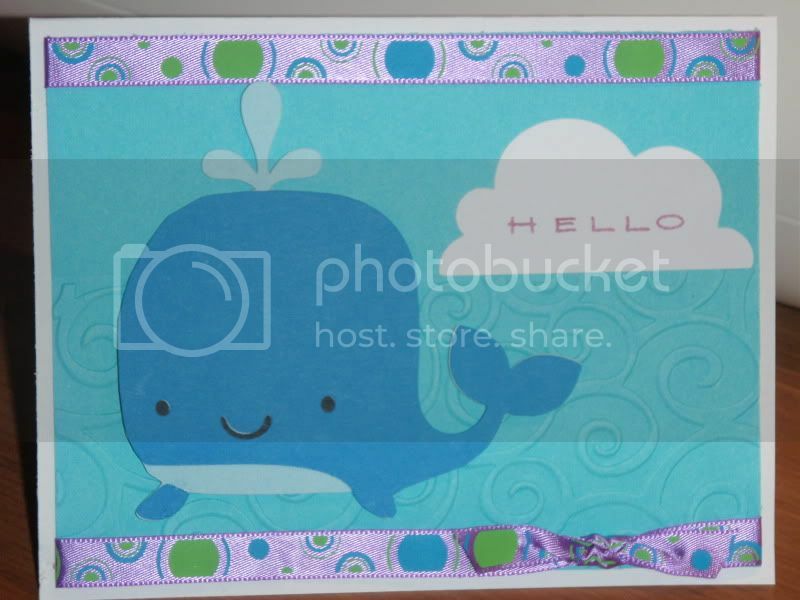 Thus, I decided to do another whale card, still using the D'Vine Swirl embossing folder. This time, I used the cloud that appears on p. 52 of the Create a Critter booklet (whale is on p. 41) and is cut at 1.25". The ribbon is from Target, but really brought the card together for me. 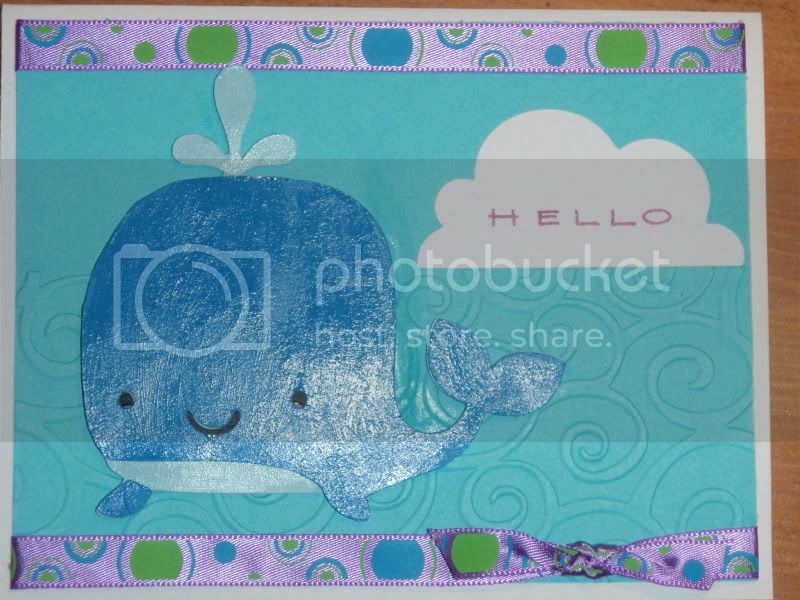 (I spent a long time agonizing over the whale/ocean colors and wasn't happy until I found the ribbon.) The whale is popped up with foam tape. The sentiment is the Happy Messages set by Stampendous, stamped using Studio G ink. Finally, I glossed the whale with Mod-Podge. Here it is before I glossed it. You can see how it really needed something.